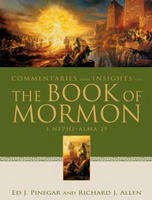 As a Latter-day Saint, the most significant book you can understand is the Book of Mormon. 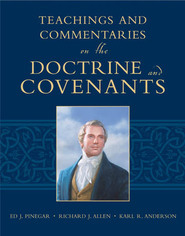 Now insightful scriptorians Ed J. Pinegar and Richard J. Allen illuminate the meaning of these scriptures and show how to apply doctrinal truths in our daily lives. 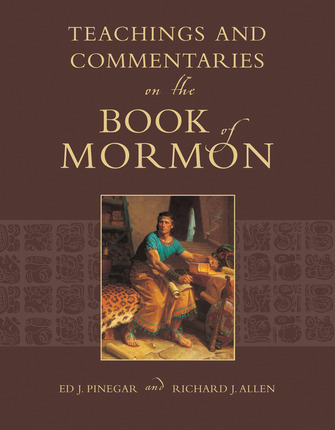 With its approachable writing style and wealth of usable information, Commentaries and Teachings on the Book of Mormon is an invaluable resource for personal study, family instruction, speaking assignments, lesson preparation, missionary work, and more. 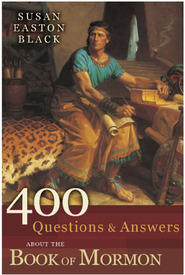 This volume will change the way you read and study the Book of Mormon. Ed Pinegar is a retired dentist and long-time teacher of early-morning seminary and religion classes at Brigham Young University. 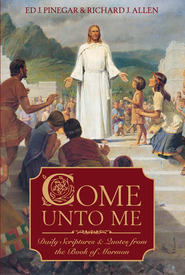 He currently teaches at the Joseph Smith Academy in Nauvoo and has served as a mission president in England and at the Missionary Training Center in Provo, Utah. He has been a bishop and a stake president and is a temple sealer. Ed and his wife, Patricia, have eight children, thirty-five grandchildren, and five great- grandchildren. Richard J. Allen is a husband, father, teacher, and writer. He has served on several high councils, in several stake presidencies, and as a bishop. Richard's teaching assignments in the Church have included service as a full-time missionary, instructor in various priesthood quorums, Gospel Doctrine teacher, and stake institute director. He has served as a faculty member at both Brigham Young University and the Johns Hopkins University. Richard has coauthored many articles, manuals, and books and has served on a number of national educational boards. He and his wife, Carol Lynn Hansen Allen, have four children and five grandchildren.